Please use our Appointment Request Form to request an appointment. 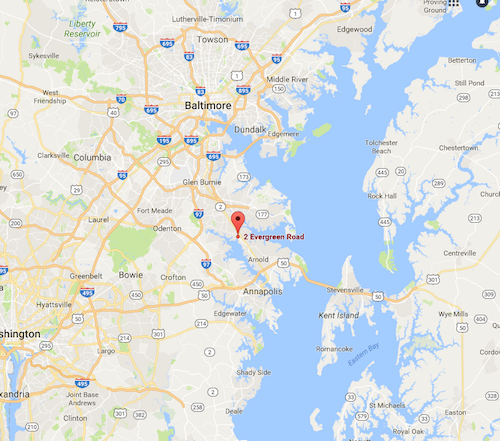 Chesapeake Neuropsychology is conveniently located in Anne Arundel County and serves patients from many surrounding cities and counties, including Annapolis, Baltimore, Washington DC, Prince George’s County, Howard County, Baltimore County, Calvert County, St. Mary’s County, Charles County, and the Eastern Shore of Maryland. Take Exit 27 toward Baltimore onto Route 2 North (first exit after bridge). Turn left onto Jones Station Rd. Turn right onto Baltimore Annapolis Blvd. Turn left onto Evergreen Rd. Make first right onto Holly Ave and use parking lot of LAW OFFICES building. Enter the NAVY BLUE door (has Ameriprise Financial sign). We are on the FIRST FLOOR. Use the door to your left to find our suite. A few steps down the hall and our office is on the right. Follow Route 2 South to Baltimore Annapolis Blvd (4th traffic light). Veer right onto Baltimore Annapolis Blvd. 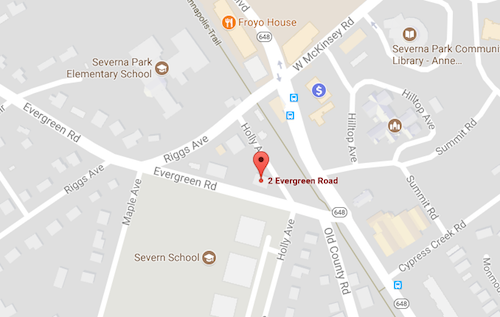 Turn right onto Evergreen Rd. A few steps down the hall and our office door is on the right.